The Mar Saba Monastery, named after Saint Sabas (St. Saba) of Cappadocia, is a 5th Century Greek Orthodox Monastery, built on cliffs overlooking the Kidron valley, located half way between Jerusalem and the Dead Sea, in the heart of the Judean Hills. Mar Saba is reputed to be one of the oldest Monasteries still inhabited by monks. This continued presence throughout the years is noteworthy since the Monastery was invaded and damaged a number of times in the course of its history and each time was re-built. The Persian invasion of 614 CE, in particular, resulted in the massacre of many monks whose skulls are still kept within the Monastery as a reminder of their martyrdom. 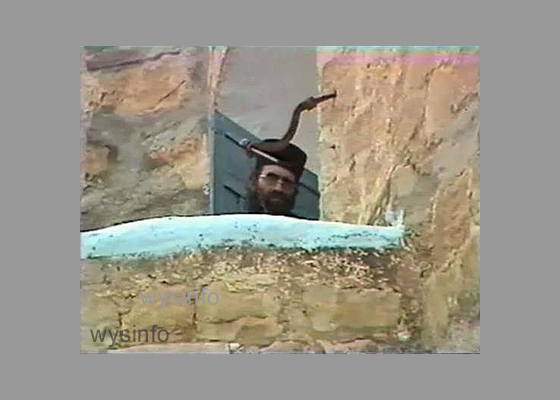 Video (4 min 48 sec) of a tour of Mar Saba Monastery filmed in 1982, reproduced from original source material from WysInfo Archives. The background music for the video is the Agni Parthene, chanted by the Monks from the Monastery of Simonos Petra, and by Nana Peradze and the Georgian Harmony Choir. The Monastery is known, among other things, for the Typicon of Saint Sabas, which influenced the order of services and prayers used in the Eastern Orthodox Churches. It is traditionally believed that Saint Saba founded the Monastery, however James Kean (see excerpt below), and other scholars, suggested that that the Monastery may have been founded by Saba’s teacher, St. Euthymius. Saint Saba, nevertheless, was the primary influence over its development and also founded several other Monasteries in the area. 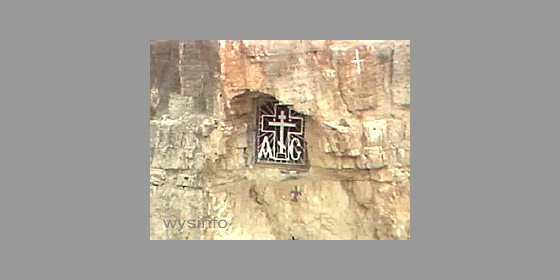 The cross shown in the picture marks the location of the cave where St. Saba spent his first years in the area. The isolated location, the proximity to the Kidron stream and the geological structure that resulted in the creation of many natural caves, provided excellent conditions for Monastic existence. In these caves St. Saba and his followers found their home in the early years of their hermitage. 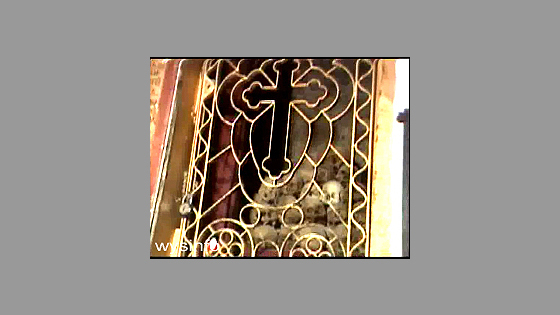 The cross shown in the picture on the right marks the location of the cave where St. Saba spent his first years in the area. 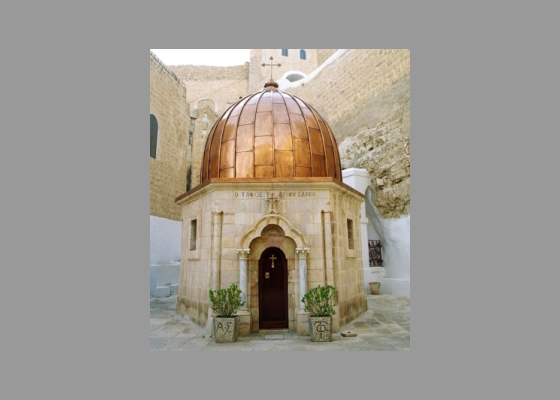 With time, other monks joined them and helped to create the foundations of the Mar Saba Monastery. Saint Saba was buried on the grounds of the Monastery but his bones were removed to Venice in the 12th Century, and then returned again to Mar Saba in 1965. Throughout the years women were forbidden to enter the main compound and were only allowed within one building, referred to as the ‘Women’s Tower’. 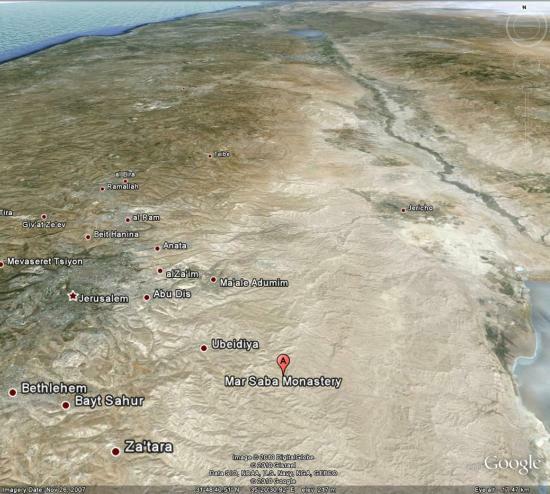 In the Google Earth map, below, you see the location of the Mar Saba Monastery, with the Dead Sea on the right, the Mediterranean Sea on the left, and the Sea of Galilee in the distance at the top. From the Sea of Galilee to the Dead Sea, you can see the Jordan River that runs along the Jordan Valley. In 1882 Rev. James Kean, M. A., B.D. made a pilgrimage to the holy land and published a book of his travel notes. The excerpt reproduced below describes his visit to the Mar Saba Monastery located in the Judean desert beside the Dead Sea. 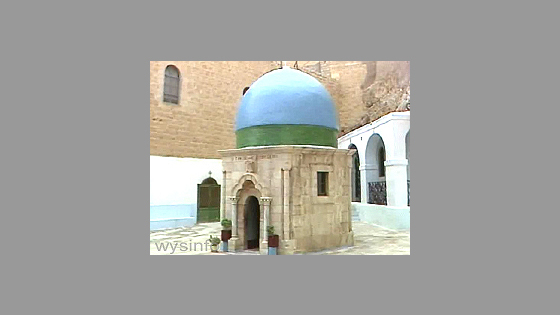 The description of the Monastery, provided by Reverend Kean, very closely resembles a similar tour to Mar Saba exactly 100 years later, in 1982, by the WysInfo team (see video clip above). 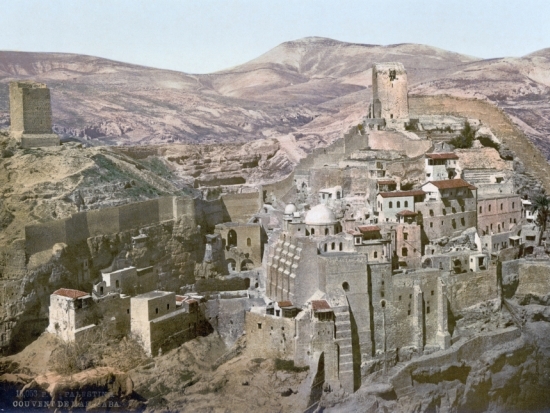 Photo of Mar Saba Monastery, reputedly taken in the 19th Century.